The Trade, Productive Activities, Tourism and Territorial Marketing Department of the City of Milano, today joined NYC & Company, New York City’s official destination marketing organization, to announce a first-ever city-to-city partnership to boost tourism between Milan and New York City. 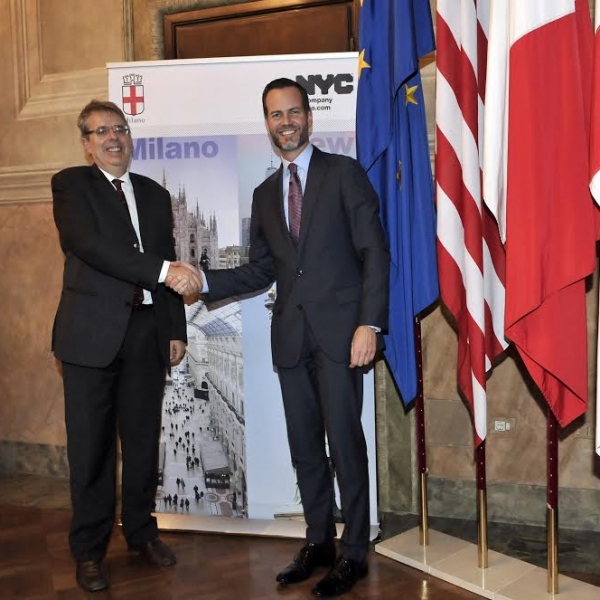 Deputy Mayor Trade, Tourism and Territorial Marketing of the City of Milan Franco D’Alfonso and NYC & Company President and CEO Fred Dixon made the announcement on November 9 at Palazzo Marino. 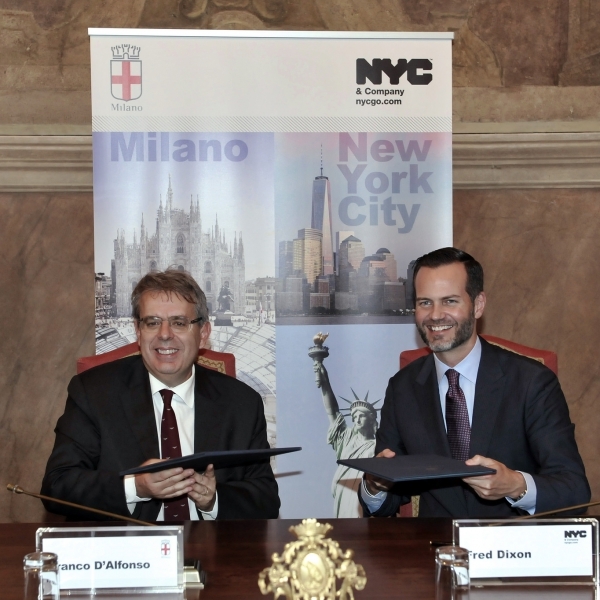 The two-year agreement—the first of its kind between New York City and a city in Italy—includes a reciprocal multimedia marketing exchange between the two destinations, joint promotional support and the sharing of best practices in tourism. In the American city, bus shelters promoting Milan with an estimated 40.9 million impressions will appear throughout the city starting in mid-February 2016 for four weeks, promoting the Triennale design events beginning in April. As part of the new agreement, New York City and Milan will also share best practices in tourism management in an effort to increase the number of visitors between both markets in the year ahead.